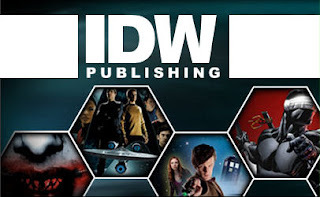 CE Staffer Paul Allor to Write Teenage Mutant Ninja Turtles Micro-Series for IDW! As announced yesterday on the IDW forums, Paul Allor will be writing Teenage Mutant Ninja Turtles Micro-Series #8 featuring Fugitoid! 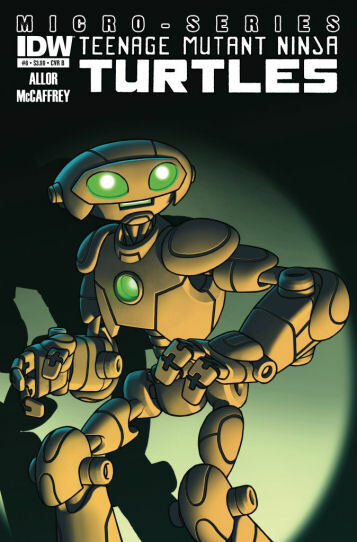 Paul's story will introduce the popular Fugitoid character into IDW's turtles continuity. 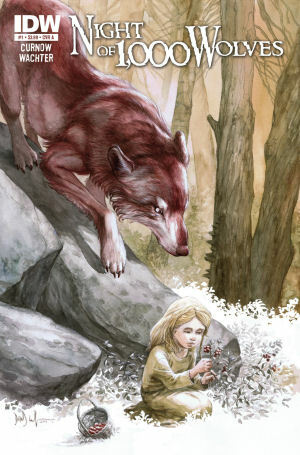 The book will feature artwork by Paul McCaffrey, and feature covers by McCaffrey (shown at left) and David Petersen (Mouse Guard). Each issue of the Micro-Series spotlights another character in the TMNT universe. 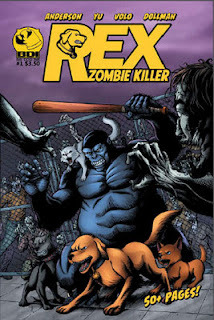 The other Micro-Series issues are written by Brian Lynch, Erik Burnham, Mike Costa and Barbara Kesel. The series is edited by Bobby Curnow, a fellow CE alum and a professional member of the Creators Workshop. The Fugitoid issue will be solicited for pre-order by comic shops in the July Diamond Previews catalog. 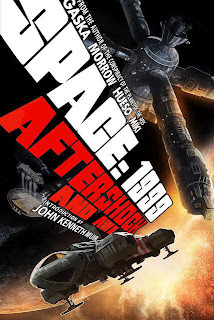 Paul Allor is also the author of the Clockwork anthology, which contained 12 original stories on cross-genre characters such as space-faring gorilla pirates, heart-broken robots, a beautiful gunfighter, and even a man on death row. 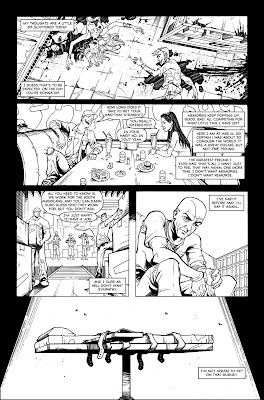 Paul has previous experience as a journalist, and one of his articles inspired the death row story in Clockwork entitled X-Row, illustrated by Aaron Houston. 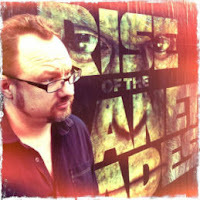 Congratulations to Paul on his exciting opportunity with IDW! Writer Paul Cornell joined the Comics Experience Creators Workshop Book Club recently, to discuss Knight & Squire, a DC Comics mini-series he produced along with artist Jimmy Broxton. Knight & Squire is a unique story, in tone, structure and intent. During the session, Cornell discussed some of the elements that set it apart from other books, and made it a joy to work on. Many of them, he noted, sprang from the characters' (and creators') British roots. 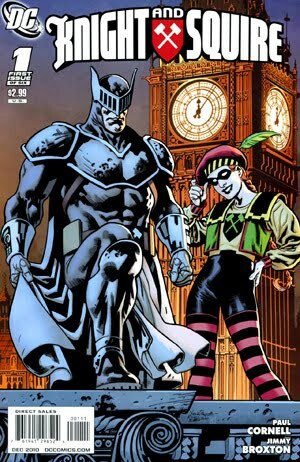 Knight & Squire takes place in the United Kingdom, an ocean away from most DC stories. Because of this, Cornell was able to create many new characters, and build the world in a way that wouldn't be possible with many properties. In part because of that, he said, it often felt like a more personal, creator-owned work, despite being firmly rooted in DC continuity. "I realized that here we had a bit of the (DC Universe) that was kind of empty, that I could fill in in every direction," Cornell said. "It was a feeling of, 'Hey!' Like the dog being let out in the field." He noted that writer Grant Morrison had established the mood of DC Britain, and some reference points, but that he and artist Jimmy Broxton could "just fill in huge waves of color and detail." By the end of issue 1, Cornell and Broxton had already created around 50 new characters, a figure that would double by the end of the mini. 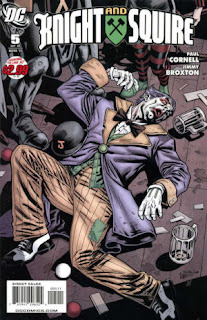 In some cases, Cornell said, Broxton would simply draw a character in, and then tell Cornell what he or she is named. 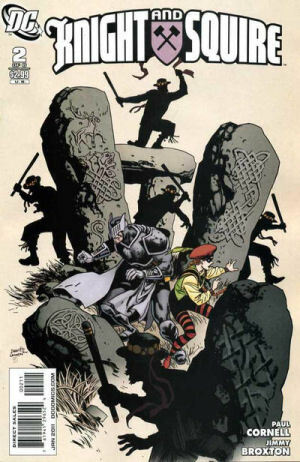 Unlike many Big Two comics, most issues of Knight & Squire would end with the heroes devising a non-violent solution. 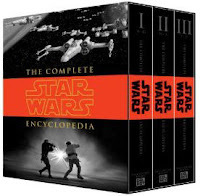 Even when violence was involved, it was also in conjunction with a non-violent tactic, or a strategy that curtailed the violence and felled the villain with minimal bloodshed. "It's an aspect of Britishness that I wanted to define," Cornell said. One of the stories main villains is Jarvis Poker the British Joker a rapscallion and troublemaker, but one who is clearly not violent or dangerous. On the other hand, several other villains could be quite dangerous, and quick to violence. Cornell said the diversity was intentional. "Jarvis exists in a world that goes from cover versions like him, who are basically harmless, all the way up to very dangerous villains," Cornell said. "And I wanted to feature all of them. "But I like moderation. 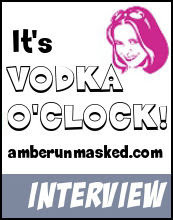 One of the things I wanted to say was, this is a world where that very difficult concept of moderation applies. I think that's part of what the Knight stands for. That's kind of how his character has always been played. He stands for moderation and for not necessarily finding violent solutions to everything." Finally, the mood in Knight & Squire shifts dramatically, from lighthearted early issues to an emotionally heavy finale. Cornell said this reflected part of British culture, in which comedy and drama are bundled up together, and where even the most awful tragedies will sometimes have elements of comedy. He said this dichotomy was part of the "theme and substance" of Knight & Squire. Cornell said that at times, Knight & Squire's stories -- which range from time-traveling British monarchs to an out-of-control suit of armor to a deadly-serious murderous rampage -- don't feel like the same world. "I think that's okay," Cornell noted. The world, he said, is determined by how the characters are feeling at the time. "But I wouldn't necessarily recommend that to new writers," he added. "Shifting the mood in the story is hard to achieve. It's probably a good idea to know how your world feels emotionally, as well as how it feels in the details." Cornell also gave advice on responding to criticism, and working with editors. "Your job is to seek out harsh criticism of your work and change because of it," Cornell said. "Boxers do not learn how to box by avoiding being punched in the face." He said creators should work on "not just your technique, but your reactions." 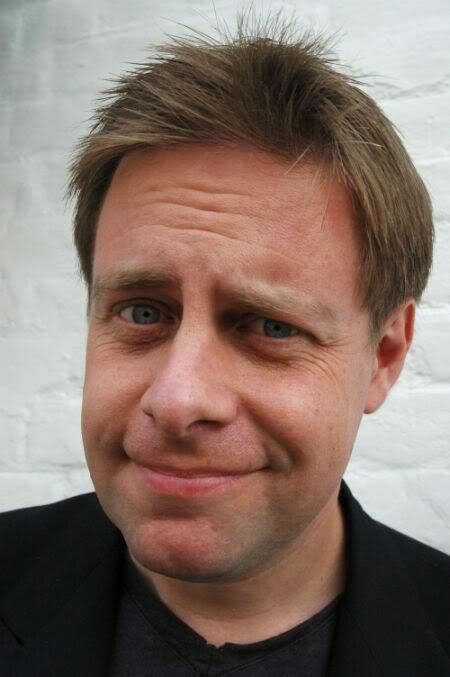 He also urged creators to trust their editors, and said that distrust of the system is a sign of a "newbie." "Above all," he said, "be amenable to notes." For those interested in seeing more of Cornell's work, he is currently writing Demon Knights for DC Comics, and Saucer Country for Vertigo. In this creator-owned work, Paul and artist Ryan Kelly tell the story of a U.S. presidential candidate who may or may not have been abducted by aliens. Alex Wilson & Silvio dB's "The Time of Reflection" Wins 2012 Eagle Award! 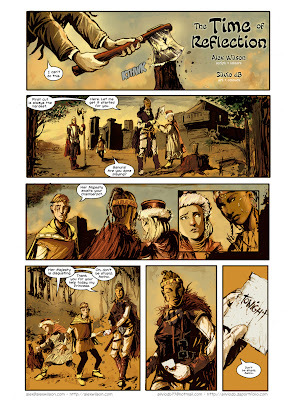 Writer Alex Wilson (a Comics Experience alum and Creators Workshop member) and artist Silvio dB had their story selected as one of two finalists by judges Steve White, Tony Lee, and Mark Buckingham, and then were selected as the overall winner via a vote. 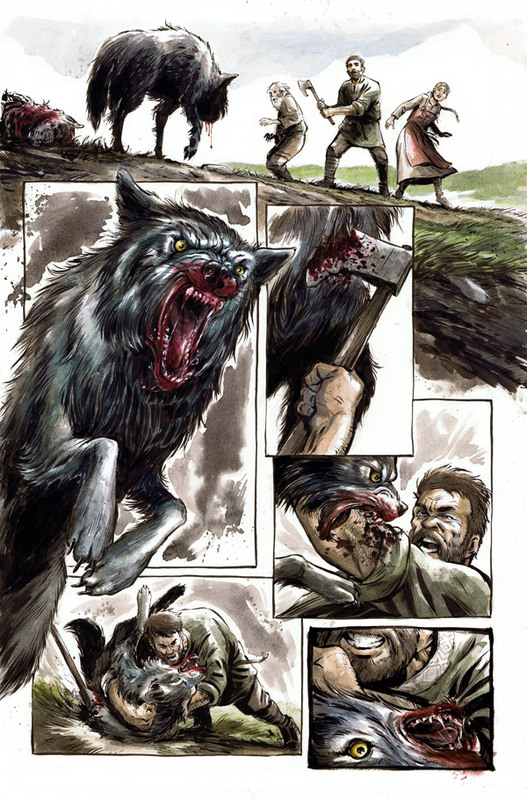 The winning story was included in the MCM London Comic Con show program, printed in conjunction with Snow White And The Huntsman from Universal Pictures. 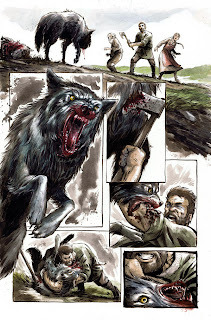 The competition required a dark fantasy story (complete with five pages of color art!) with only a month from announcement to deadline. Two other Creators Workshop members, Paul Allor and Amy Chu, also were named to the judges' shortlist! 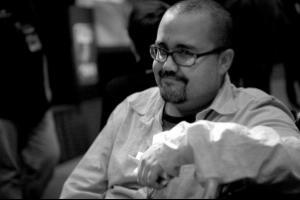 Alex Wilson writes fiction and comics in Carrboro, NC. His work has appeared/will appear in Asimov's Science Fiction, The Rambler, LCRW, Weird Tales, The Florida Review, Futurismic, ChiZine, Pif, and Dragon. Locus Magazine has called him a "promising new writer," and Publishers Weekly also has nice things to say. Currently, Alex is shopping both a humor novelette and a full color crime graphic novel to publishers and agents. He runs the audiobook project/podcast Telltale Weekly and publishes the minicomic/zine Inconsequential Art. 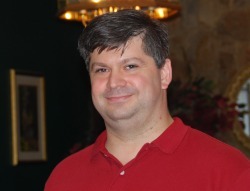 He is a Clarion grad, WotF finalist (prose), and, now, also the writer of an Eagle Award winning comic! Congratulations to Alex and Silvio! 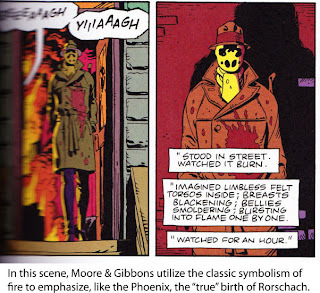 In this Guest Blog, Creators Workshop member Christopher Beckett discusses his recently launched Reading Watchmen project; a comprehensive, annotated examination of Moore and Gibbons' Watchmen. I didn't know what to expect when I joined the Comics Experience Creators Workshop almost a year ago. What I found was a community of like-minded people willing to offer suggestions and serious critiques of everyone's work in an effort to help us all grow as creators. With every personal interaction and every discussion thread, I learn something new and now find myself thinking more critically about my own writing. This evolving critical viewpoint has not only helped me grow as a writer, but it also spurred my return to a project started back in early 2009 -- Reading Watchmen, a comprehensive, fully-annotated, examination of Watchmen. 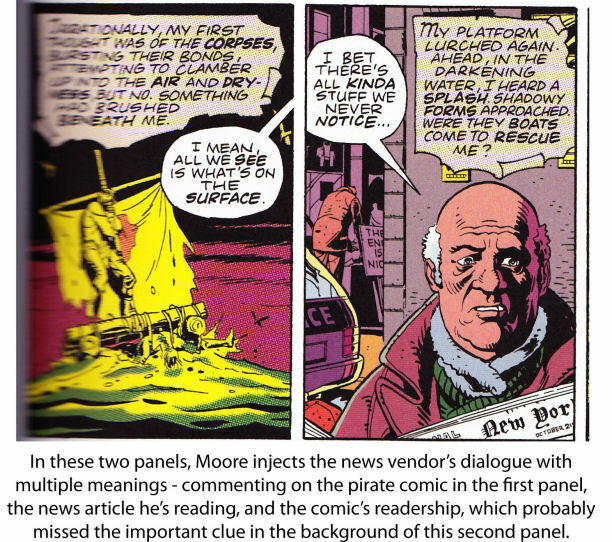 I've been a fan of Alan Moore since first reading "The Anatomy Lesson" in an early collection of Saga of the Swamp Thing. 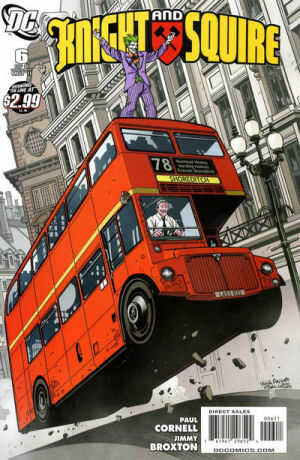 So, of course, I am a fan of his seminal graphic novel with Dave Gibbons, Watchmen. From the outset, these two exceptional artists wanted to utilize the comics medium, and specifically the superhero genre, to create something that would transcend the ghetto into which laypeople at the time liked to consign this storytelling medium we love. 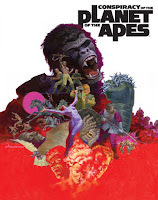 They intended to craft a graphic "novel," in the truest sense of the word, while exploiting storytelling qualities unique to the medium, as a refutation of the tired argument that comics were little more than movies on paper. With an almost unprecedented attention to detail and a rarely incorporated literary approach, Moore & Gibbons achieved this. They created a book that has been part of college syllabi for most of its publishing life and, arguably, provided the comics medium with its Citizen Kane. Despite its near-universal acclaim, I feel like many newer readers of Watchmen fail to properly understand and appreciate its significance. Being far removed from the Cold War reality that hangs like a pall over the narrative, and realizing that much of what was groundbreaking in Watchmen -- the heroes' psychological issues and the more realistic approach to their stories -- has been replicated in scores of comics over the past quarter century, I can understand some of this attitude. But the heart of Watchmen is not this "realistic" approach to the superhero, but the literary layers upon which Moore & Gibbons built their story. It is rare that subsequent readings of a comic provide any new insights into the narrative. 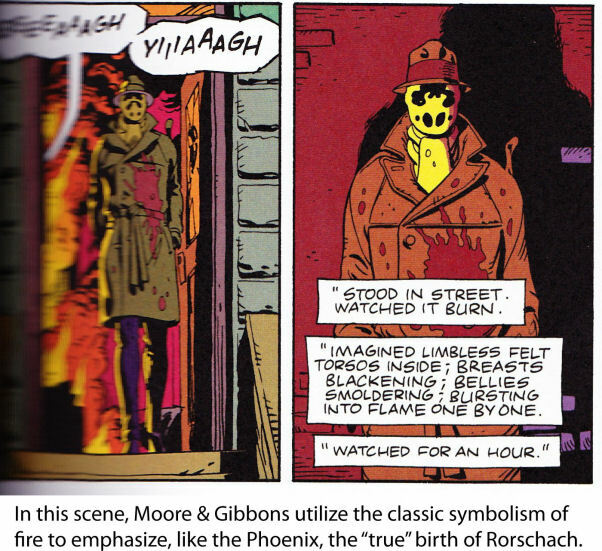 And yet, every time I read Watchmen -- every single time -- I discover something new. My goal with Reading Watchmen is to offer readers a look "below the surface" at the myriad layers hidden within this landmark graphic novel. Each month of 2012 will be given over to a single chapter, allowing me the time and the space to properly "discuss" this dense book. I've learned a lot in my time as a Comics Experience workshop member, and that knowledge is something I've been applying to Reading Watchmen. I hope you'll take the opportunity to check the site out and re-discover this classic with me. Check out the Reading Watchmen project right here. 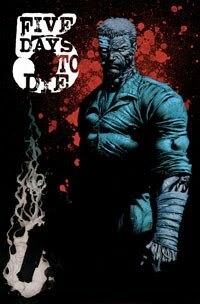 Tomorrow night, Tuesday, May 15, 2012 at 9pm Eastern Time, writer (and Comics Experience founder) Andy Schmidt and artist Chee will be joining us for an online Creators Workshop Book Club discussion of their creator-owned book 5 Days to Die published by IDW! Join us at the Creators Workshop to take part in this great discussion!